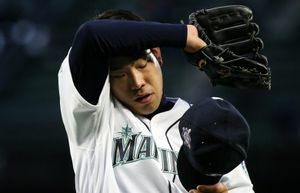 While it was a disappointment for one of the most beloved Mariners ever, another rise in votes seems to indicate he has a great chance to make it next season, his final year on the ballot. 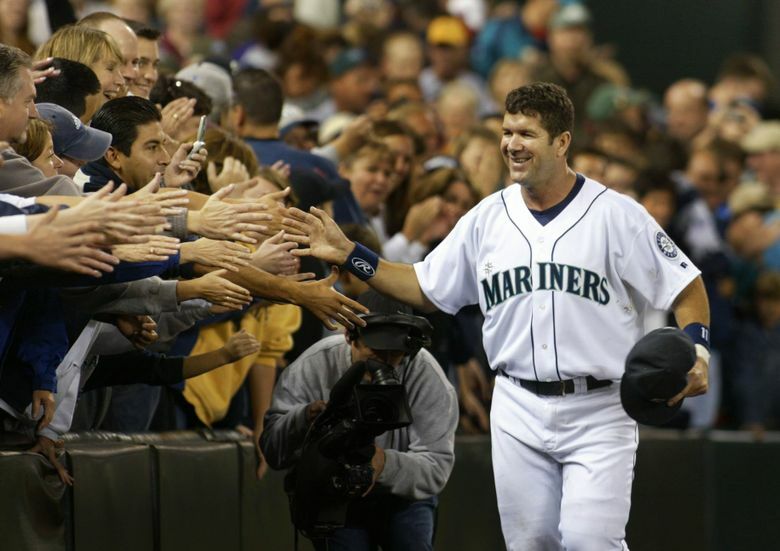 The dream of Edgar Martinez getting voted into the Hall of Fame will have to wait another year. 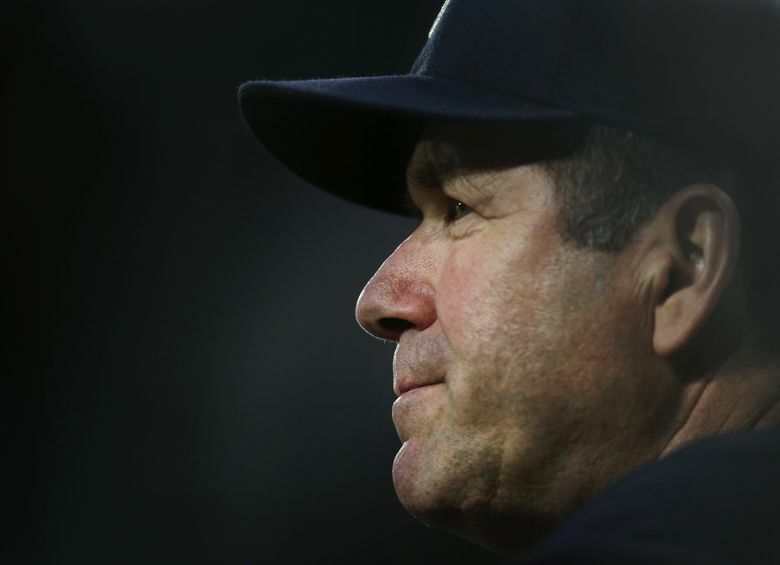 Much to the disappointment of Martinez, the Mariners and their fans all over the Northwest, his name was not announced Wednesday among the four selections, which included third baseman Chipper Jones, first baseman/designated hitter Jim Thome, outfielder Vlad Guerrero and closer Trevor Hoffman. Martinez fell just short of appearing on the required 75 percent of ballots cast to garner induction. He was on 70.4 percent of the 422 ballots cast by eligible members of the Baseball Writers’ Association of America. His total of 297 votes was 20 short of the number needed to gain induction. As Hall of Fame president Jeff Idelson read the names of the four inductees on a live broadcast on MLB Network, Martinez knew he had not been chosen. He had not received a congratulatory call from Jack O’Connell, the secretary of the BBWAA, who notifies the candidates of their induction. The realization that he wasn’t getting in became apparent a few days ago. Martinez’s wife, Holli, would relay the results from the ballot tracking and calculation of Ryan Thibodaux. As Martinez’s percentage slowly slipped in the days leading up to the announcement and expecting a regression from the non-submitted votes, he became resigned to falling short. But that 70.4 percent represented another step in the upward trend toward his possible induction next year in his 10th and final year on the Hall of Fame ballot. Always optimistic, Martinez remained positive. It’s been an unexpected rise in his up-and-down candidacy that started with a promising 36.2 percent in 2010 —­ his first year of eligibility ­— then fell to 25.2 percent in 2014. Consistently humble and never one to seek the spotlight, Martinez has always avoided campaigning for himself during this nine-year process. He admitted thinking his Hall of Fame chances were extinguished after the 2014 results. 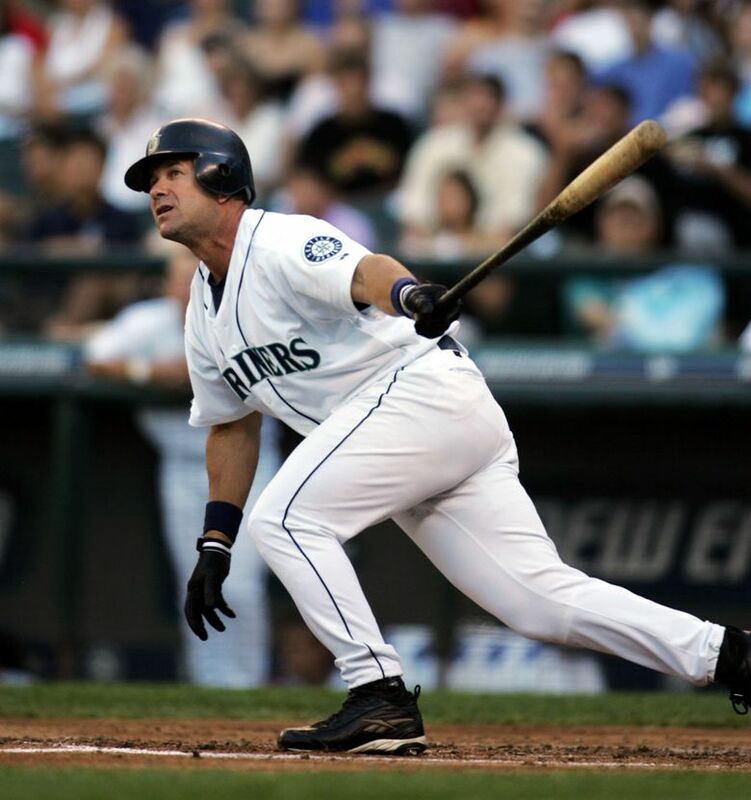 However, with younger, more progressive writers in the BBWAA, who believe in a bigger Hall of Fame and grew up with the designated hitter as part of the game, becoming eligible to vote, the increased use of sabermetric analysis validating his resume and a major social-media blitz by the Mariners and others ignited a movement upward to 43.4 percent in 2016. It rose to 58.6 percent in 2017 and now the new high this year. “At that time, I thought I was never going to get to this point,” he said of 2014. While it isn’t a given, Martinez would seem to have a great chance of induction in 2019 based on voting trends. His steady climb over the last three years is a strong indicator he will achieve 75 percent, and past candidates with similar numbers also suggest induction next year. The last 10 players to finish in the 70 to 74 percent range reached induction the following year. Guerrero appeared on 71.7 percent of the ballots last season, while Hoffman was on 74 percent of the ballots. The candidacy of Tim Raines also provides hope. In 2015, his eighth year on the ballot, Raines was on 55 percent of the ballots, followed by 69.8 percent in 2016. In 2017, his final year on the ballot, Raines improved to 86 percent and was inducted last summer. But there is still the disappointment of not reaching induction this season. The early ballot tracking by Thibodaux gave Martinez and the Mariners a reason to hope. Martinez was on more than 80 percent of the ballots in the early stages. But in the days leading up to the announcement, more conservative voters, who believe in a smaller hall of fame and not rewarding a designated hitter, released their ballots without choosing Martinez. His percentage fell from the mid 80s to the high 70s. And then there were the voters who don’t make their ballots public, many of whom have shown in the past to be against voting for a designated hitter. That was enough to knock Martinez below 75 percent. And yet, Martinez’s message to disappointed fans was simple and typical of his personality. Edgar Martinez’s percentages since he first got on the Hall of Fame ballot.